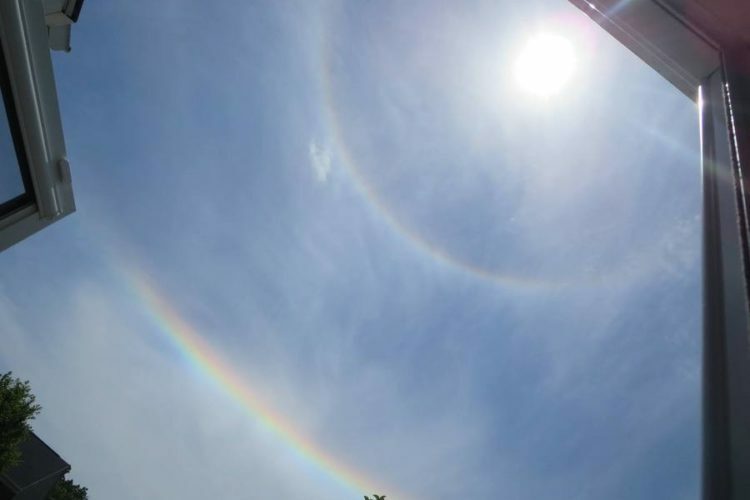 Many of you have seen a halo around the sun. It’s that perfect rainbow that forms a circle around the sun or even the moon. It’s formed as the sun’s or moon’s rays interact with ice crystals high in the atmosphere. Why do we even see this rainbow arc? 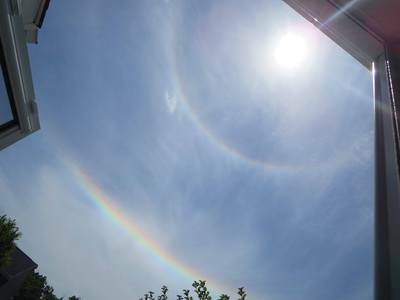 The optical illusion is able to form thanks to ice crystals in the shape of plates in the atmosphere. However, the sun’s angle is critical to this taking shape. If the sun isn’t above 58 degrees, the arc won’t be visible. Obviously, the presence of ice crystals is also imperative. 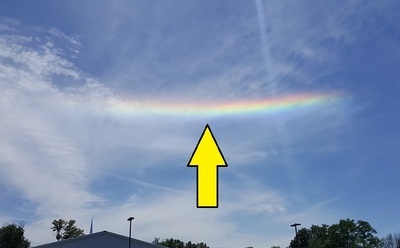 Luckily for those sitting in the mid latitudes, the summer months provide a great opportunity for seeing this phenomenon when the sun’s angle is at its highest in the afternoon hours.